Bano Qudsia was a Pakistani novel and play writer. She also refers to the name of Bano Aapa. She got fame from his superhit novel Raja Gidh. Raja Gidh considered the classic story of the Urdu language. 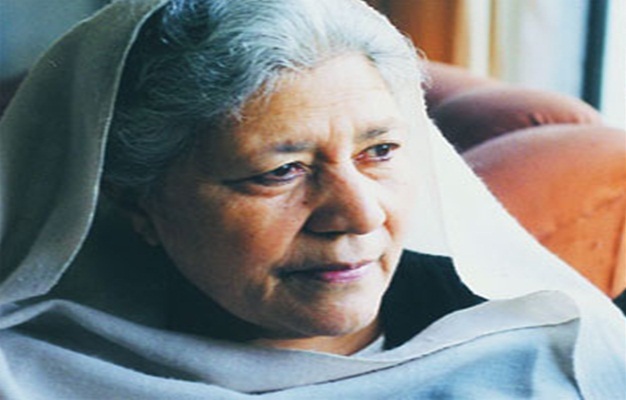 Bano Qudsia was born on 28 November 1928 in Firozpur as a Qudsia Chatta. Her father was a bachelor in agriculture and brother was a painter. Her family migrated to Lahore after the partition of India. Bano got her graduate degree from Kinard College Lahore. Then, she joined the Government College University (GCU). She completed her master degree in Urdu literature in 1951. Bano Qudsia married with Ashfaq Ahmad whom she met while studying in Government College University Lahore. She had three sons with named Aneeque, Anees, and Aseer. Bano Qudsia wrote several novels, TV plays, and short stories. Her Novel Raja Gidh (The King Buzzard) is added in new Urdu classic. She wrote in Urdu and Punjabi language. Her drama Aadhi Baat is considered classic play. This drama is about the life of a retired headmaster and his life problems. Bano’s latest novel Hasil Ghat published in 2005. She read below-mentioned novels, dramas, short stories and biographies. You can download or read online these books by clicking their name. Raja Gidh novel describes the love story of a girl Seemi. She loves her class fellow Aftab while studying university. Book Raja Gidh contains love, emotions, and ethics. It captured the attention of the reader from the first chapter to last. It is the classic novel of modern Urdu. Aik Din is another great social and romantic novel. The story predicts the real picture of our society. This novel published in 2005. Haasil Ghaat narrated the views of a Pakistani Humayun Farid who visited his emigrant daughter. This novel describes the difference between two civilization. It is a great story for books lovers. Qudsia was awarded the Sitara-i-Imtiaz by Government of Pakistan. In 2010, She awarded Hilal-i-Imtiaz by the government of Pakistan in his services in literature. In 2012, Bano also awarded the Kamal-e-Fun Award by the Pakistan Academy letters. The same year, Pakistan Life Care Foundation gave lifetime achievement award to Qudsia. Bano Qudsia died on 4 February 2017 at Ittefaq Hospital Lahore at the age of 88. She left a great legacy in the shape of her writings. Many politicians and writers condole on her death. Asghar Nadeem Syed declared “literary stalwart after Quratulain Haider”. At last, you may also like to read Shaukat Siddiqui: Urdu Novel writer.